Property Details: 1 Bedroom, 1 Bathroom Ocean-view Property, sleeps up to 8. 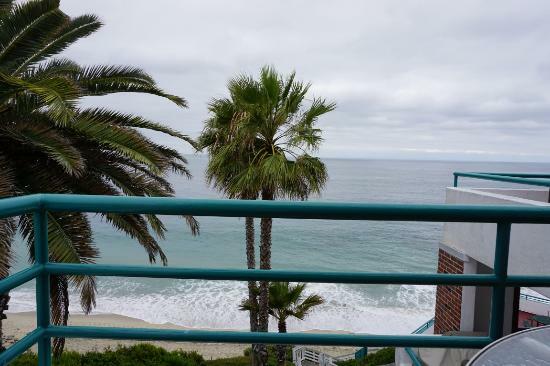 North Coast Village condo, beach vacation rental in Oceanside CA. This resort home was just remodeled in 2018 with a gorgeous stacked stone fireplace wall and wood-look porcelain floors throughout the residence. The kitchen just had a complete remodel with beautiful new cabinets, gorgeous granite counter-tops, stone back-splash, and stainless steel appliances. The kitchen has a LG stove, refrigerator, microwave, and Bosch dishwasher, and is completely equipped to meet your culinary needs, with dishes, pots and pans, cooking utensils, coffee maker, blender, toaster, and crock pot. The dining-area table seats four, plus two bar-stools. The open living area is gorgeous, furnished with a queen sofa-bed, love seat, and a chair w/ottoman. Watch your favorite TV shows at your convenience with Cox DVR. The bathroom was recently remodeled as well, with a walk-in shower and granite counter-top at the vanity. Oceanside in southern California has an abundance of outdoor activities and attractions, plus the amazing beaches. 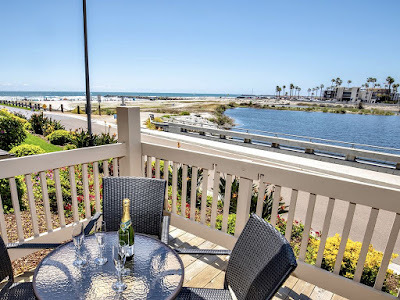 Centrally located between San Diego and Los Angeles, Oceanside is convenient to a variety of amusement parks and family activities such as Disneyland, Legoland, Sea World and the San Diego Zoo. Oceanside allows you to jog, bike or skate to your heart’s content. Bike the San Luis Rey River Biking trail or take part in private o group surf lessons from a local surf school – go deep-sea fishing, diving or whale watching. For the golf lover, there are 6 courses in or near Oceanside, you’re sure to find a public or private course to fit your game - Oceanside has something for everyone! Info: 1 Bedroom, 2 Bathroom Direct Ocean View Property, Sleeps 4. Laguna Surf condo, vacation rental in Laguna Beach CA. 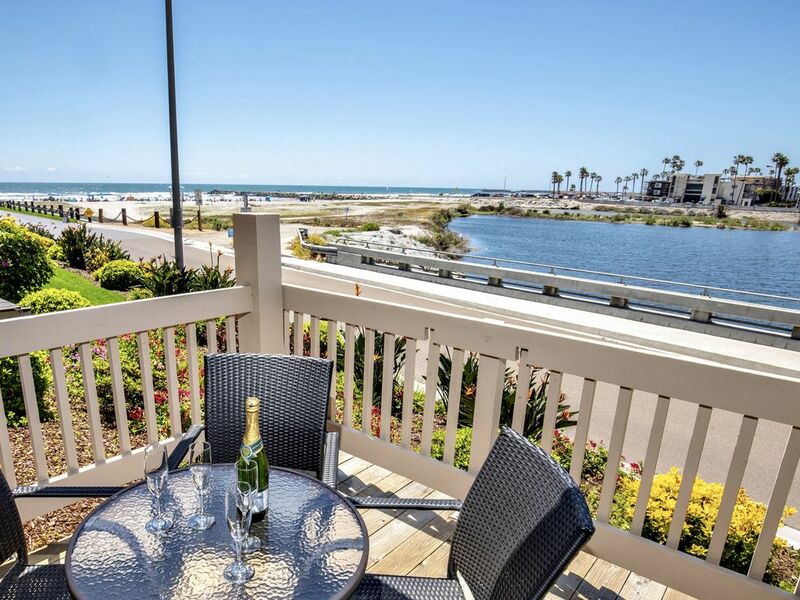 Laguna Surf is an award winning, oceanfront resort that casual and comfortably appointed. Located directly on California’s pristine Laguna Beach, Laguna Surf offers private oceanfront balconies, exquisite coastal dining, a boutique day spa and more. Whether you are looking for a tranquil retreat, relaxing getaway, or an extended vacation, adventure and serenity awaits. Make your way to the art enclaves, cultural center and shopping district to round out your experience. Laguna Beach is home to more than 100 galleries and artist studios, and the walkable village makes it a fun destination to go shopping for an afternoon; don’t miss out on the variety of dining options throughout the area - from seafood restaurants on the coast to casual eateries tucked inside the cultural district, there's an array of great places to wine. Laguna Beach is among Southern California's most popular coastal destinations. Located midway between Los Angeles and San Diego, Laguna Beach is a 7-mile stretch of sand and surf, providing year-round destination for art-lovers, nature enthusiasts and beach-goers. About an hour south of Los Angeles, Laguna Beach has a spectacular clifftop setting above some of the finest beaches in California. Outdoor enthusiasts can snorkel, scuba dive, body-surf, or hike the trails in nearby Laguna Coast Wilderness Park. A center for artists, Laguna Beach hosts numerous special events and festivals,such as the Sawdust Art Festival, Festival of Arts/Pageant of the Masters, Art-A-Fair and Plein Air Painting Invitational. The Laguna Art Museum focuses on California artists. Window shoppers and collectors will enjoy strolling the village’s quaint streets, as well as visiting galleries spotted along Pacific Coast Highway. Laguna Beach is located in southern Orange County - it is well-known for the mild-climate, scenic coves, environmental preservation and artistic community.